On Sale Now! Free Shipping Included! 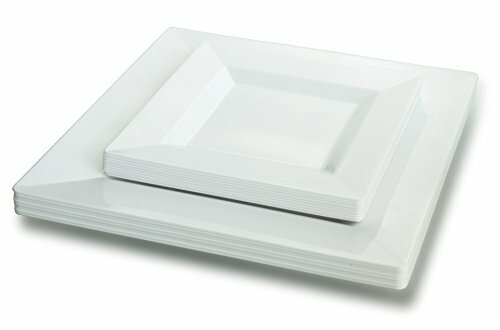 Save 7% on the '' OCCASIONS '' 240 Pack Disposable Square Plastic Plates Set - 120 x 9.5'' Dinner + 120 x 6.5'' Dessert (Square White)… by OCCASIONS FINEST PLASTIC TABLEWARE at Blog Free Here. Hurry! Limited time offer. Offer valid only while supplies last.